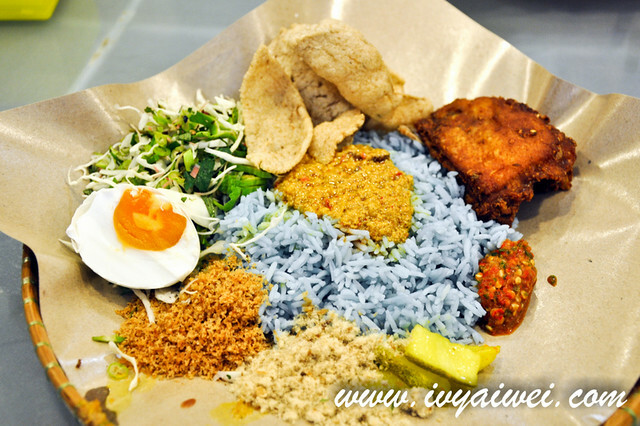 Located in Aman Suria, this is a small café that that serve awesome homemade Kelantanese dishes such as nasi kerabu, nasi dagang and keropok lekor. Everything here is made from scratch with fresh and quality ingredients; they are loaded with lots of herbs, handpicked and sincerely make them into aromatic dishes. Once a while, there is the sight of pulut mangga or mango glutinous rice which my friend kbcg said it is yummier than the Thai version. However, it wasn’t available during my visit. Guess there is no luck on my side but of course, I will revisit until I manage to hunt it down. 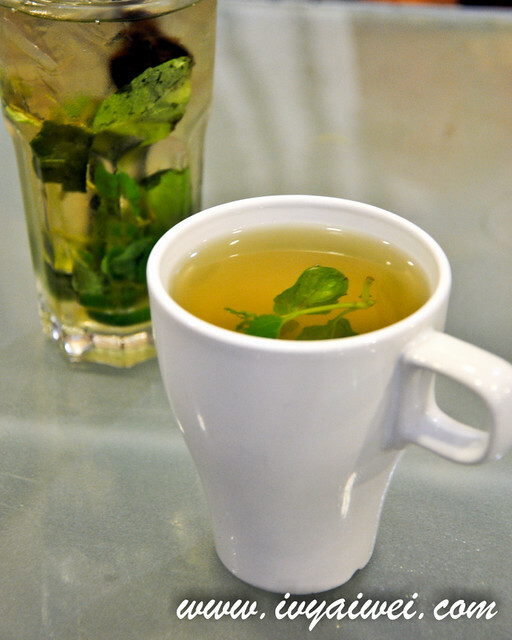 The local mojito that is made of serai, pandan, asam boi, mint and tea. 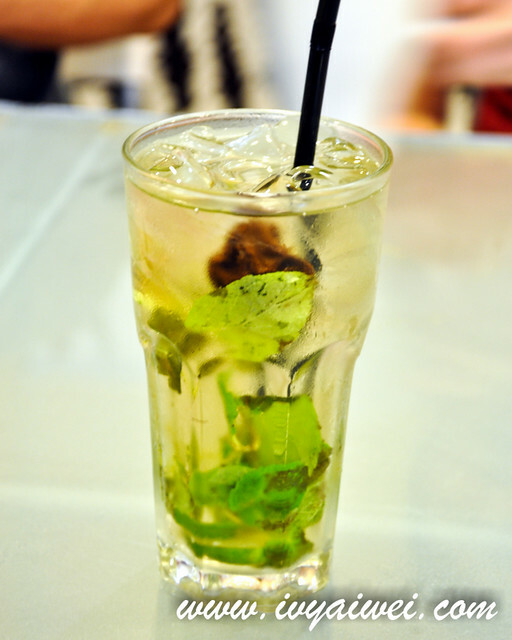 It was very refreshing beverage to go with the local delights of the day. Not to mention, a great thirst quencher too! Made of Lemongrass and screwpine. You can opt for having it with or without syrup. Refill of their house tea is at 50 sen only. 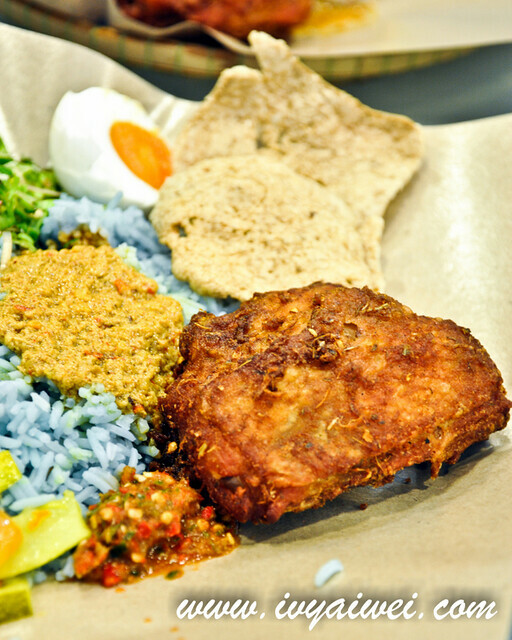 Dishes for nasi berlauk are different every day. 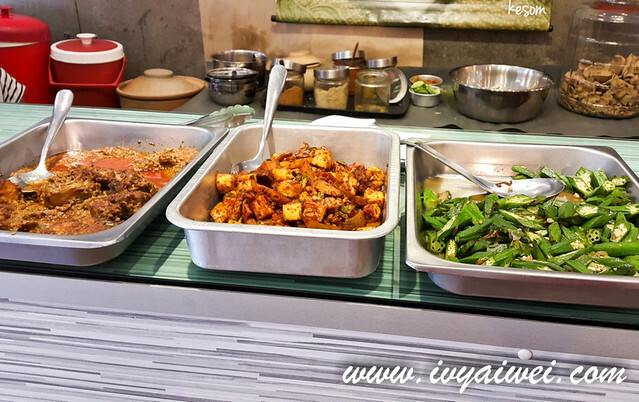 You may choose any dish from the counter to go with your white rice. There were only 3 dishes available on the day I went. Hence, we opt for the other signatures. 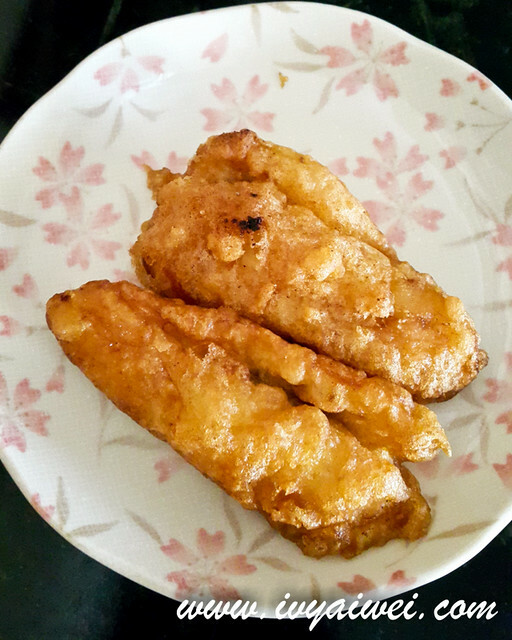 Pisang Goreng (Rm 1 each). This was what I have been longing for quite some times after seeing @boo_licious’s numerous posts on instagram. 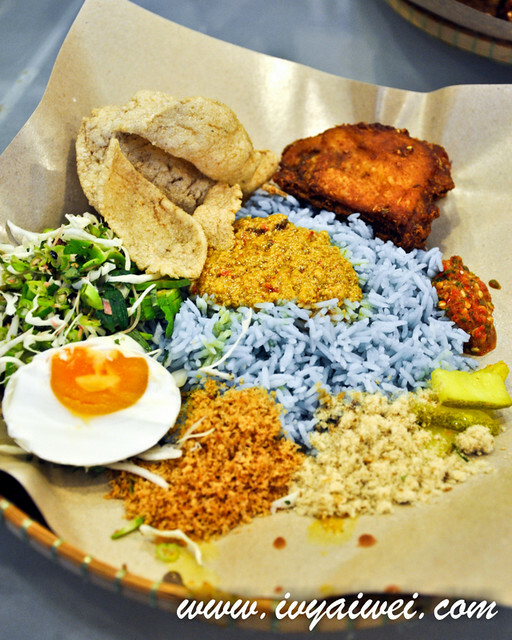 The pretty blue colour rice is made of basmati rice steamed with “bunga Talang” or Butterfly Pea Flower (or also known as Clitoria Ternatea) for flavour and the lovely little soft blue hues. Served along with acar malas (pickles), keropok (fish cracker), telor masin (salted egg), kerisik (toasted grated coconut), serunding ikan (fish floss), ulam (traditional salad) and sambal belachan (shrimp chilli paste); and my choice of crispy fried chicken. The chicken was very well marinated and I truly enjoyed mixing every small condiment together before pampering my taste buds spoonfuls of everything. Love the fragrant bits on everything. Also, it’s a beautiful plate of dish that will definitely brighten your day. 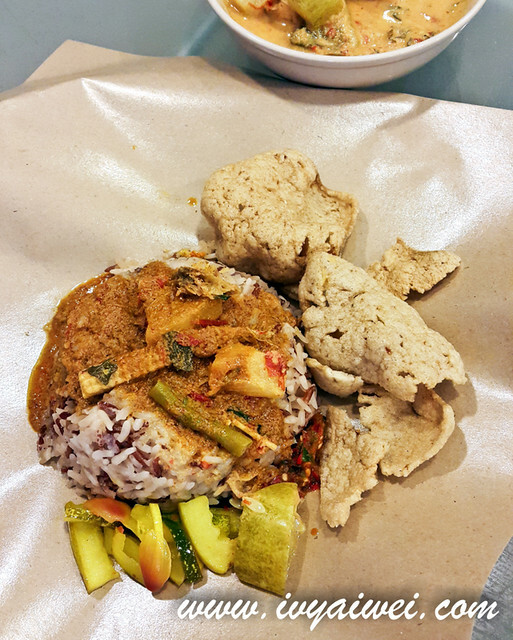 The nasi dagang here is made of special brown rice, steamed with steamed with herbs and coconut. 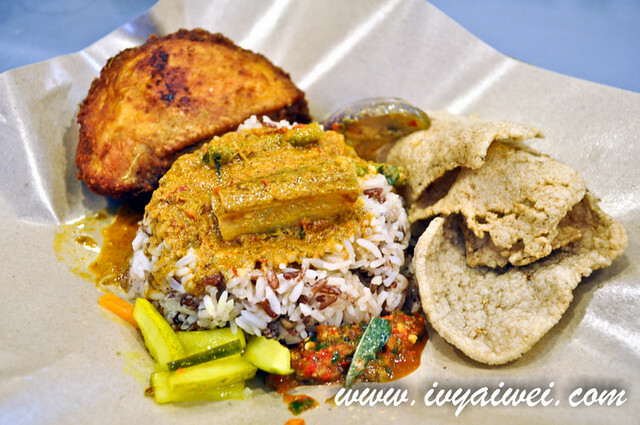 Served along with acar malas, crispy keropok (fish cracker), sambal ikan and sambal belachan. 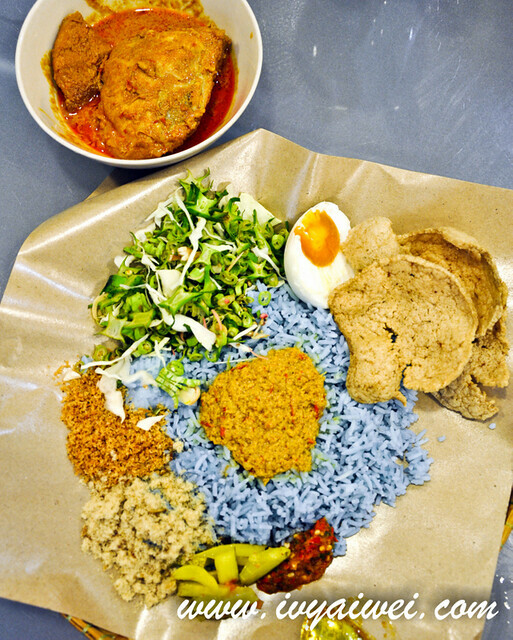 A pretty delightful signature dish of Kelantan. 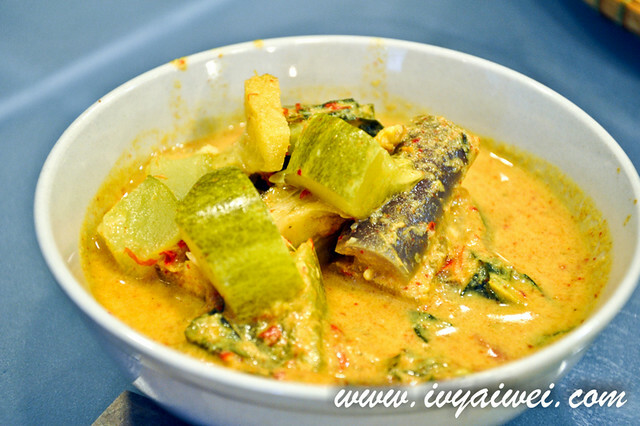 Best to drench it with the gulai which is lil sourish and spicy that goes well with the fluffy rice. 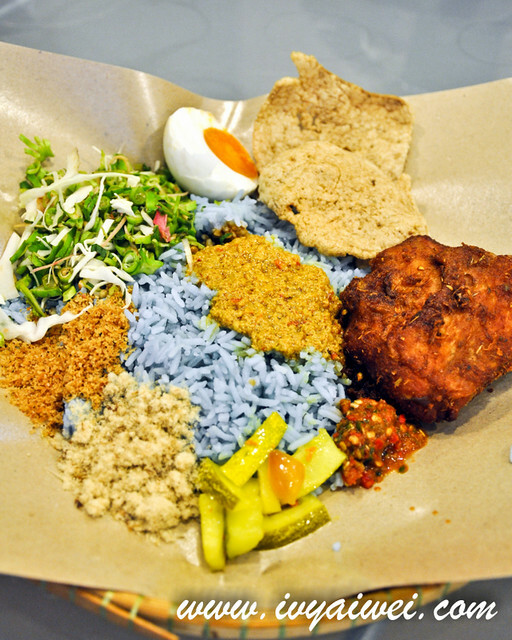 However, I still prefer the nasi kerabu with all fragrant bits wrapped up around the beautiful blue rice.